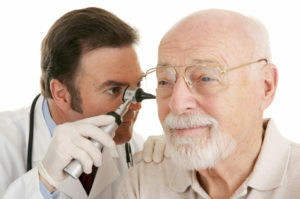 There are many treatment options for tinnitus. Most should be performed by professionals only because tinnitus can be a sign of a deeper problem. If you are interested in the symptoms of this condition, please check out our article titled ‘’Symptoms of Tinnitus’’. Even if you suspect that you have this ailment it is best to contact a professional to get a proper diagnosis. The main objective for all tinnitus treatment options is to lower the perceived burden of tinnitus, allowing the patient to live a more comfortable life. CBT can help with anything involving negative perceptions. We have an article on CBT and how it can improve your life regarding tinnitus. There is currently no scientifically proven cure for most cases of chronic tinnitus. The search for a definitive cure is still going on and some progress is being made, but we have yet to discover a cure. However, excellent tools such as CBT and meditation can lessen the burden of this ailment. These currently available treatments are not cures per se, they do not heal the patient but they lessen the discomfort of the patient to some degree. Even though there is currently not a cure there are a lot of things that can be used to cope with it. More than just sitting around and meditating every second of the day. Instead, you can use these things to make your life easier. Removing impacted earwax can decrease tinnitus symptoms. If a medication you’re taking appears to be the cause of tinnitus contact your doctor about it. Do not get off the medication without contacting your doctor beforehand. 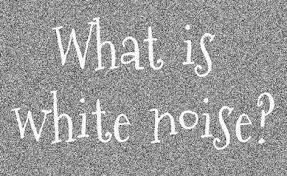 White noise machines. These machines make sounds that mask the ringing in your ears. From ocean waves to static noises. I have heard many people tell me that it helps them to sleep at night. It has been proven that ocean waves are very relaxing and can help patients to wind down and sleep all through the night. Masking devices. These are worn in the ear like hearing aids. They are a mixture of hearing aids and white noise machines. It makes sounds like ocean waves in your ear that drowns out the ringing. Cover up the noise. 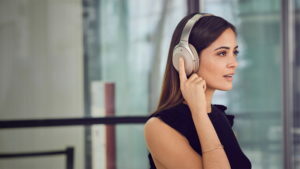 In a quiet setting, a fan, soft music or low-volume radio static may help to drown out the noise from tinnitus.